Collins Booksellers - Olympic Sports - When and How? 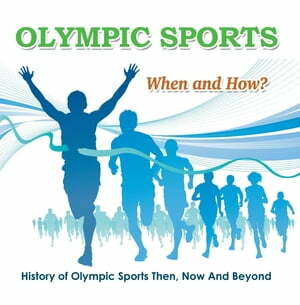 : History of Olympic Sports Then, Now And Beyond by Baby Professor, 9781682808917. Buy this book online. This book is perfect for the young and aspiring Olympians. It provides a glimpse into the world of the greatest athletes, and your child can decide to either follow their footsteps or not. The nice thin about this books is that the information is presented visually so there is 100% understanding. After all, images are universal learning languages. Grab a copy today!